This restaurant is a true definition of luxury, with its dark panels of wood, dim lighting and ornate decor. The kitchen is headed by chef Cheung Siu-kong, who serves delicious Cantonese dishes. One of the signatures is the tender, juicy barbecued Iberico pork; the nutty and aromatic meat is marinated with sweet bean paste, soy sauce and hint of coriander. 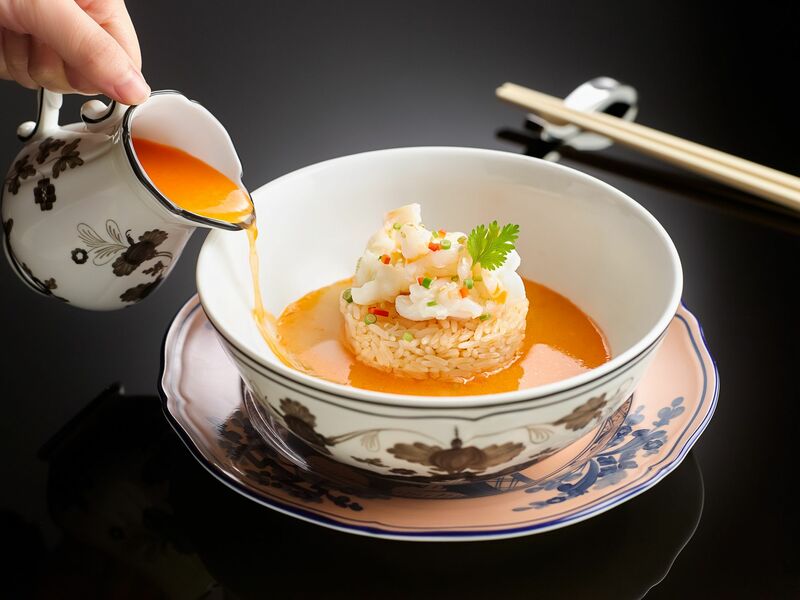 Also worth a try is the three-hour braised abalone, which comes with shiitake mushrooms to add a different layer of umami, as well as the poached rice, which brims with lobster meat and comes with a decadent lobster soup. The wine list is huge with a good balance of choices from the new and old worlds.